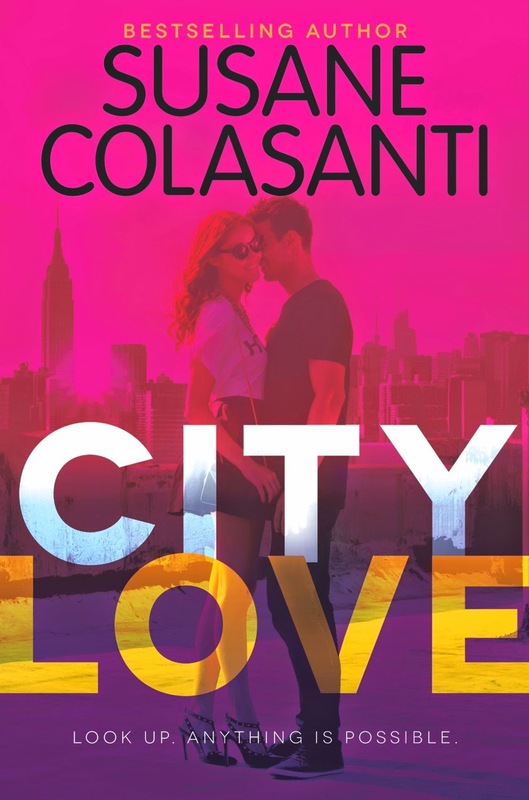 I was lucky enough to get an interview with the amazing Susane Colasanti about her new book, City Love! Don't forget to check out Susane's Twitter to stay up to date on everything Susane Colasanti. -What are three words that best describe CITY LOVE? -The book is told from three different points of view: Darcy, Sadie and Rosanna. Was there a character that you connected with most? I’ve actually identified with each girl at different points in my life! Rosanna was a lot like me in college. We both knew that New York City was our true home. One of my biggest dreams was to live in New York City where I could create a shiny new life and be the best version of myself. Putting myself through college and grad school (as Rosanna is doing) was not easy in one of the most expensive cities. 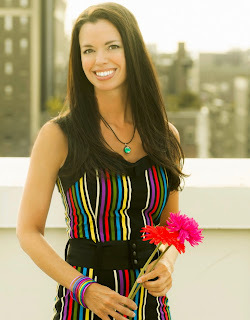 There’s a scene in CITY LOVE where Rosanna is at the ATM and discovers that she only has 73 cents left in her account. That totally happened to me. It was such a scary, stressful experience that I knew I had to include it in this book. Sadie is all about warm fuzzies and random acts of kindness. She radiates positive energy. She does not hesitate to open a door or reach a can on a high shelf for someone who can’t. Sadie is my role model. I want to be her when I grow up. The girl I’m most different from is Darcy. She’s a wild child having fun and not worrying about tomorrow. But one thing Darcy and I have in common is a desire to be in the Now. Darcy is zipping through life at such a hectic pace that she’s trying this new thing where she stops to just be. I frequently have to remind myself to slow down, breathe, and fully experience the moment before it’s gone. -The girls are spending their summer before college in New York City. Have you ever been to New York City? If so, do you have a favorite part? New York City has been my home for almost twenty years. New York was, and always will be, my first city love. I’m originally from Middle of Nowhere, New Jersey. My hometown is a rural area that felt excruciatingly remote and isolated when I was a teen. I couldn’t wait to live in a big city one day where things were happening! My love for New York grew as I did, and I was finally able to move here when I started grad school at NYU. My favorite neighborhood is the West Village, where the CITY LOVE girls live and where I lived for nine years. The energy of that area makes me feel alive in a way no other place can. I tried to capture that amazing energy in this trilogy. -Darcy, Sadie and Rosanna are on the verge of potentially having the best summer of their lives. What was the best summer of your life? The same summer in CITY LOVE! The summer before college freaking ruled. High school was finally over. I was free of the haters, the bullies, the small-minded kids who tormented me for years because I was different. High school was the worst time of my life. I counted down the days until it was over. That summer after high school felt like an enormous weight had been lifted off my shoulders. I no longer felt like an outsider among strangers. I felt like someone who was about to find her place in the world. Fortunately, New York City welcomes every type of person with open arms. I found my people here and built my real family. -While writing CITY LOVE did you have a playlist? If so, could you share a few songs that were on it? Absolutely! Like my eight previous teen novels, CITY LOVE has a playlist you can find on my website, susanecolasanti.com. “Rewind” by Stereophonics, “Titanium” by Sia, and “Night Changes” by One Direction were among the top picks. And of course “Empire State of Mind” by Alicia Keys and “Welcome to New York” by Taylor Swift have to be included, too. Oh my goodness, I can't even imagine seeing my account only have 73 cents! I'd probably have a panic attack and break down right there.